Little is known about levels of personal growth attributed by students to typical college life experiences. This paper documents two studies of student self-reported and posttraumatic growth and compares growth levels across populations. Both studies measure student attributions of cause to academic and non-academic experiences, respectively. It is suggested that future research on the outcome of college life experiences can use a similar approach with a variety of variables. Group counseling has been highlighted as one effective intervention for at-risk students, yet debate remains as to the comparable efficacy of traditional interventions versus thematic interventions. This study compared two psychosocial educational programs, the PEGS and ARK Programs, designed to help elementary school students with social skills development, problem behaviors, bullying, and self-esteem with 15 elementary-aged students. Results revealed no differences between the programs and improvement on many indicators. Implications for school counselors are presented. Raising a child with special needs exacerbates the inherent challenges of parenting. Although the needs of children with special needs are addressed frequently in the literature, the needs of the parents of children with special needs are often neglected. In order to offer effective and useful services for parents of children with special needs, this article examines the types and nature of support services used by the parents of children with special needs and the effectiveness of those support services in reducing the parents’ stress levels and/or increasing their coping skills. Seventy-four parents of special needs children were assessed and results revealed that low-cost services, particularly those that resulted in mutual support, were a significant priority among parents. The article concludes with a discussion of clinical implications and needed directions for future research. One of the major flaws in current psychological tests is the belief that a prediction/diagnosis can be made that would tell an individual whether he is heterosexual, homosexual or bisexual. What is needed within the profession, however, is an assessment that has the sensitivity to help clients explore their sexual orientation. A pilot 100-item Sexual Orientation Scale was developed after interviewing 30 self-identified gay men who considered themselves happy/satisfied. The items summarized the thoughts and feelings of these 30 men during the discovery process and ultimate acceptance of their sexual orientation. The scale was then completed by 208 male participants. The Cronbach’s Alpha Coefficient was calculated for the initial 100-item version of the Sexual Orientation Scale along with item analysis and factor analysis. These statistical manipulations were computed to help eliminate items that did not discriminate well. The final version of the Sexual Orientation contains 43 items. Implications for the use of this scale and future directions in research are further explored. A six-year retrospective study of a university career course evaluated the effect of four different class schedule formats on students’ earned grades, expected grades and evaluations of teaching. Some formats exhibited significant differences in earned and expected grades, but significant differences were not observed in student evaluations of instruction. Career services providers, including curriculum designers, administrators and instructors, will find the results of this study helpful in the delivery of services, especially with high-risk freshman students. The prevalence of depression increases markedly during adolescence, yet many youth are not receiving the support that they need. One factor that has been speculated as contributing to low rates of care is a lack of mental health literacy about depression and viable sources of support. This pilot study focused on mental health literacy as it relates to adolescent depression and suicidality and represented a pseudo-replication of Burns and Rapee (2006). Overall, participants (N = 36) in this study were able to differentiate depressed vignettes from non-depressed vignettes and identify common symptoms of depression in their assessments. Also, sources of optimal help identified by participants varied upon the perceived degree of seriousness of the difficulties. Such results offer implications regarding the potential benefit of including adolescents in a more direct way when providing outreach or offering services. Numerous sources of information influence how individuals perceive professional counselors. The stressors associated with entering college, developmental differences, and factors associated with service fees may further impact how college students view mental health professionals and may ultimately influence when, for what issues, and with whom they seek support. 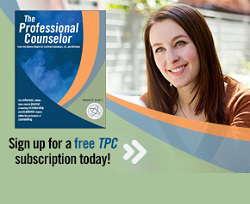 Individual perceptions of professional counselors furthermore impress upon the overall identity of the counseling profession. Two hundred and sixty-one undergraduate students were surveyed regarding their perceptions of professional counselors’ effectiveness and sources of information from which information was learned about counselors. Overall, counselors were viewed positively on the dimensions measured. The sources that most influenced perceptions were word of mouth, common knowledge, movies, school and education, friends, books, and television. 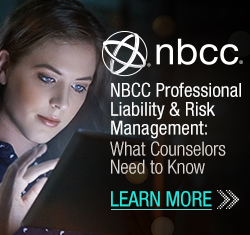 Burnout and impairment among professional counselors are serious concerns. Additionally, counselors’ work environments may influence their levels of wellness, impairment and burnout. This phenomenological study included the perspectives of 10 professional counselors who responded to questions about how their work environments influence their sense of wellness. Five themes emerged: (a) agency resources, (b) time management, (c) occupational hazards, (d) agency culture, and (e) individual differences. Implications for professional counselors and future research are discussed. Despite the prevalence of dating violence, incidences often go unreported due to a lack of awareness among students as to appropriate dating behaviors. This phenomenology investigated how adolescents conceptualize and experience dating relationships. We explored adolescent females’ definitions of healthy and abusive relationships, experiences with unhealthy relationships, and responses to dating violence in order to develop effective strategies to intervene with this population. Implications for school counseling and mental health counseling practice, training, interventions and future research are discussed. In an effort to ensure the efficacy of preparing emerging counselors in the field, CACREP standards require that by 2013 all core faculty at accredited universities have a doctorate in Counselor Education and Supervision. However, literature suggests that a disparity may exist in the preparation of counselor educators and the actual responsibilities of faculty members. As such, the present study investigated CACREP-accredited doctoral programs’ preparation of students to teach from the perspective of both students and program coordinators. Results support a didactic course in teaching and a co-teaching internship to help doctoral students learn to develop course materials, manage classroom behavior, and develop a teaching style and philosophy. 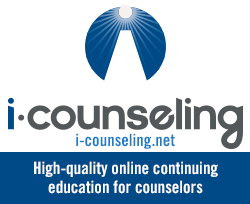 Recommendations for effective counselor education training practices are provided.